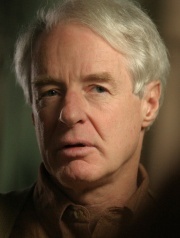 Adam Hochschild (b. 1942) is a U.S. writer and activist. He is the son of Harold K. Hochschild, the namesake of the Harold K. Hochschild Foundation. His wife is Arlie Hochschild. He wrote, King Leopold's ghost : a story of greed, terror, and heroism in Colonial Africa. In 1979 Stanley Weiss, an Institute for Policy Studies (IPS) Trustee was a founding memberof the IPS connected Citizens Party. Other founders included IPS co-founder and senior fellow Richard Barnet, Adam Hochschild of Mother Jones magazine, Archibald Gillies, director of the John Hay Whitney Foundation, Julian Bond, a trustee of the IPS spin-off Institute for Southern Studies, Chicago activist organizer Don Rose, campaign manager and adviser to Chicago Mayor Jane Byrne, and Quentin Young, the Director of Medicine at Cook County Hospital, Chicago. Adam Hochschild endorsed the call. In 1996 Adam Hochschild was one of the original 130 founders of Campaign for America's Future. Adam Hochschild was named as a member of Democratic Socialists of America, in Democratic Left, January/February 1991 issue, page 16. ...Only DSA members in good standing may contribute to the PAC. Because the law is so specific, all contributions are carefully screened to make sure that they are from members." In 2007 Adam Hochschild was listed on the DataCenter's annual report as a donor to the organization. The Oakland, California based DataCenter is widely regarded as the intellegence wing of the United States Left and has close ties to Cuba. In 2009 Adam Hochschild Author, 'Breaking the Chains'was listed as a signer of the Progressives for Obama website..
Hochschild is listed as an endorser of the Campaign for Peace and Democracy, as of March 15, 2010. This page was last modified on 12 August 2018, at 02:07.